Kyla and Hannah are Waiting to Meet You at the Washington Area Humane Society! Hannah is waiting patiently for her furever home. This week the Washington Area Humane Society has some very special pets up for adoption. We’ve chosen two very special pets who are waiting to find their furever homes. If you live in the Washington County, PA area and are considering getting a dog or cat for your family, please visit the Washington Area Humane Society or check out their list of adoptable cats and dogs on their website. 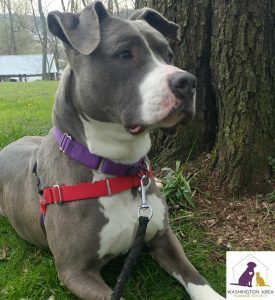 First up is Hannah, a beautiful, 5-year-old pit bull terrier who is a silvery gray color with white markings. She would love to take daily walks with you and relax on the couch in the evenings! 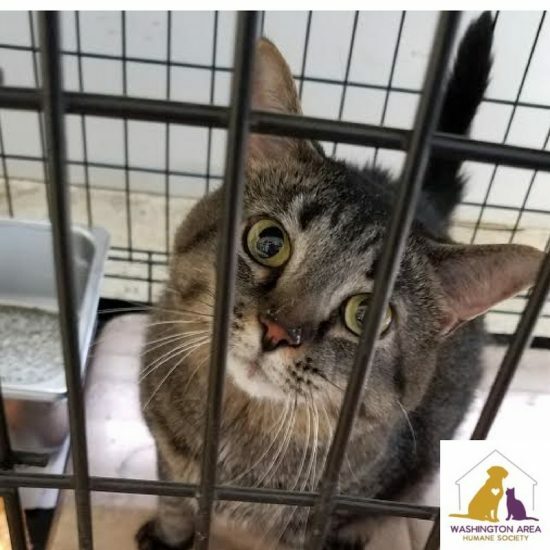 The Washington Area Humane Society also has a gorgeous short-hair cat who is just 2 years old and ready for some love and affection. She is full of energy and is good with kids and other cats. She’s even microchipped! Please take a moment to learn more about Kyla.